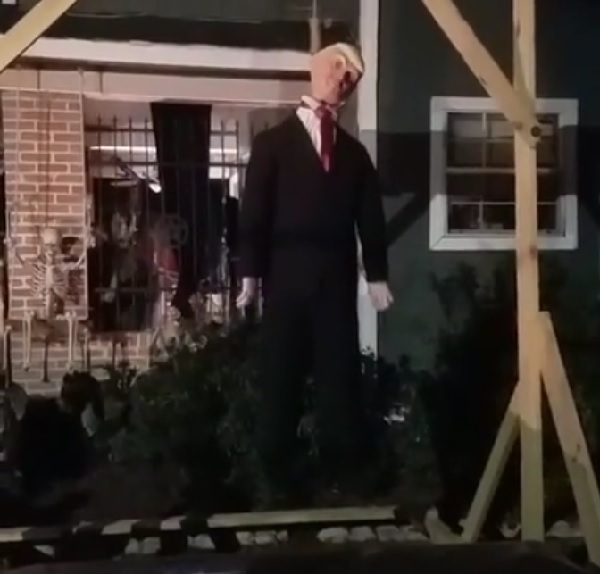 Houston man hangs a Trump mannequin with a noose in his front yard as part of Halloween decorations. Thoughts?? ?